Some people just refuse to wear gloves and rely on their egos to protect them, but I am not one of these people. I have nothing to prove to anyone and have never planned on entering the worlds toughest hand contest. I have always been an advocate of hand protection, so when Snap-On said they had some gloves for me to test out, I was all for giving them a go. When shopping for a pair gloves, I look for a few things that are on the top of my list. The first is a snug fit, the second is a good amount of dexterity. Having a good grip is also important, but not as important as the first two – as long as the grip is equal to my own naked hand, I am happy. 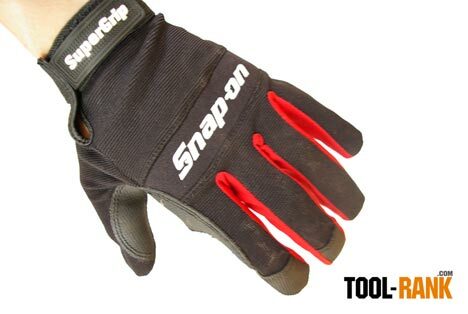 Snap-On is known for their mechanics tools, so the SuperGrip gloves are a lighter duty then something you would see a rancher using. They do sacrifice durability for dexterity, but this is something I expected. It is all about finding the right glove for the job. 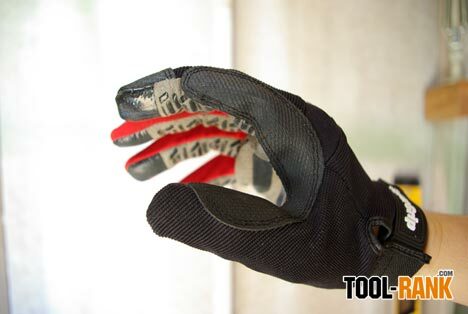 All of those little black rectangle looking areas you see on the front of the glove are there to help you get a grip. They are made of a tacky silicone compound that does a great job of keeping tools from slipping – they actually grip better then I expected. One aspect of the glove I liked was the extra protection layer that runs between the thumb and the index finger. This is a high traffic area that tends to ware down first on my other gloves. 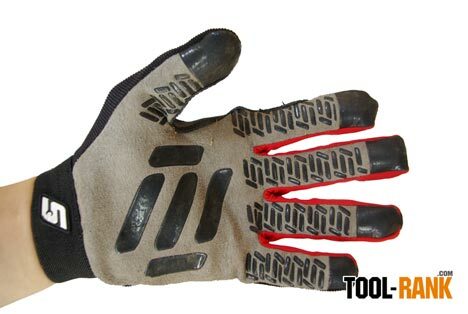 Because these are mechanics gloves, they have even added a bit of knuckle saving padding. The fit of the gloves is great, but the sizing seems to run on the small side. If you are unable to test fit before you buy, you might want to choose the next size up. I give the SuperGrip gloves two thumbs up. Check your local Auto Zone or Pep Boys for availability; they run about $25.